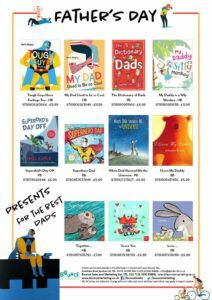 Father's Day stock-up 2017 – Bounce Sales & Marketing Ltd.
Get your bookshop ready for Father’s Day (18th June) with this great selection of dad-themed books. We have a great selection from Flying Eye Books, Otter-Barry Books, Barrington Stoke, Nosy Crow, Gecko Press and Boxer Books. Download the order form, fill it in and send it back to your local rep.